MEME IS SCREENING IN BROOKLYN! Meme’s official theater tour begins with the city it was made in! Meme is the first feature film directed by Sean Mannion. The film won best feature at the 2018 Art of Brooklyn Film Festival. Synopsis: Jennifer, an independent designer disappointed in her stalled relationship and career, discovers a surreal mashup videotape, labeled “Meme,” among a friend’s VHS collection. She goes in search of Meme’s creator, tracking down people who appear on the tape to gain greater insight into what it is and why it exists. As she pursues the creator of the tape she takes greater control of other aspects of her life including her relationship, difficult clients, and a drinking problem that increasingly interferes with her life. Director Sean Mannion & lead actor Sarah Schoofs will be in attendance to meet the audience and discuss the film following the screening. Prior to the feature we will present It’s Normal, a new short, political, horror film co-written by Sean Mannion and directed by award-winning filmmaker Nicole Solomon. In It’s Normal a young woman checks in on a friend from her grief support group and learns that her changing world may be even scarier than it appears on the surface. THEATRE OF TERROR IS SCREENING IN JERSEY CITY!!! Join us for the highly anticipated premiere of “The Theatre of Terror”! We have been working hard over the past two years to deliver an anthology that harkens back to wonderful classics like “The Twilight Zone”, “Tales From the Dark Side”, “The Outer Limits”, and “Creepshow”. Now we want to invite you into the world of macabre and fascinating characters we have created so you too can get lost in a story! Parking: $7.00 parking is available in the garage directly behind the theater on 27 Magnolia Avenue. Make sure to get your parking ticket validated at the box office! OR you can buy them through Brown Paper Tickets at this link and be automatically entered into a raffle to win a free Blu-Ray/DVD combo of the feature film and official movie poster signed by the Theatre of Terror team!! Immediately following the event we will be heading to PJ Ryan’s directly across the street from the theater for an after party celebration! Come join us! Check out recent interviews from Search My Trash with lead actors (Sarah Schoofs & Arielle Hope), writer/producer (Charles Lincoln) & director (Jeremiah Kipp)! 3 screenings! 3 different films! Join me & the director at these festivals & see some quality independent films! AYLA NOW AVAILABLE ON VOD! Check me out in ‘The Dating Profiles‘ now available to watch on Seeka TV! THAT IS ALL! UPDATES ON UPCOMING PROJECTS COMING SOON! Three castaways. Two robots. And one derelict spaceship. All that’s left of their world. But, when a mysterious android named Delta crash-lands on their devastated exoplanet, she brings hope to this band of survivors that can repair their ship, and find their way home. However, that hope is soon dashed with the arrival of four bounty hunters on a mission that’s more personal than business. Secrets long buried in the desert hold the key to who is a survivor and who is the destroyer. Jennifer, an independent designer disappointed in her stalled relationship and career, discovers a surreal mashup videotape, labeled “Meme,” among a friend’s VHS collection. She goes in search of Meme’s creator, tracking down people who appear on the tape to gain greater insight into what it is and why it exists. As she pursues the creator of the tape she takes greater control of other aspects of her life including her relationship, difficult clients, and a drinking problem that increasingly interferes with her life. Booking movies! Filming movies Finishing movies! WRAPPED on ‘Back Road’! It is impossible to leave the Back Road set without being covered in blood… Incredible cast. Incredible crew. 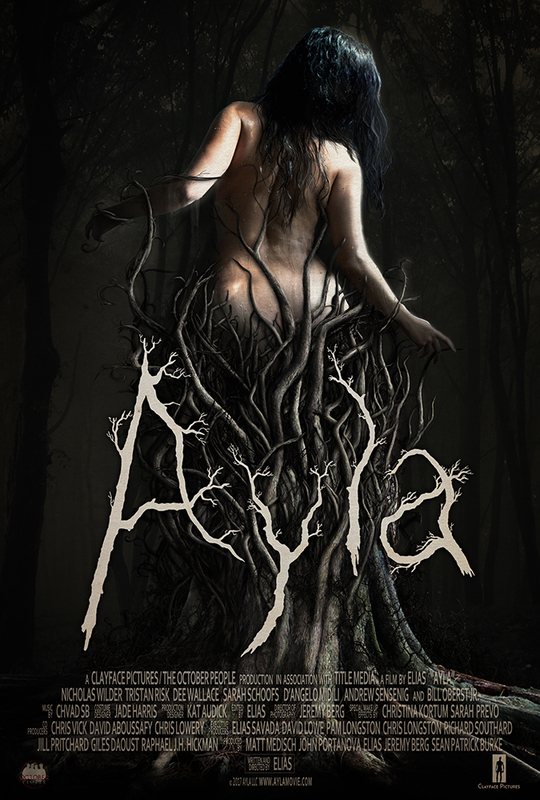 If you like horror, you will love this movie..
AYLA KEEPS PICKING UP FESTIVAL NOMINATIONS! Behind the scenes flashback of my experience working with writer/director Elias and the cast and crew on “Gut”! Screen Anarchy is happy to premiere the first teaser for Ayla, the new film from writer/director Elias Ganster (Gut). It is an interesting teaser, with hints of some body horror going on in there along with glimpses of the always fascinating Tristan Risk. Out of curiousity I looked up the meaning of her character’s name Ayla. It is Hebrew and Turkish in origin and could either mean oak tree, halo or moonlight. I cannot say if any of that ends up being intentional on Ganster’s part but nature does appear to weigh in thematically here, as it also does in the luring key art. The film stars Tristan Risk (American Mary) as Ayla and Nicholas Wilder (Gut) as Elton. They are joined by Dee Wallace (E.T., The Howling), Sarah Schoofs (Phobia), D’Angelo Midili (The Invoking), with appearances by Bill Oberst Jr. (Resolution) and Andrew Sensenig (We Are Still Here). As a proud supporter of Ayla, the sophomore feature film from Gut director Elias, I’ve been following the production every step of the way. 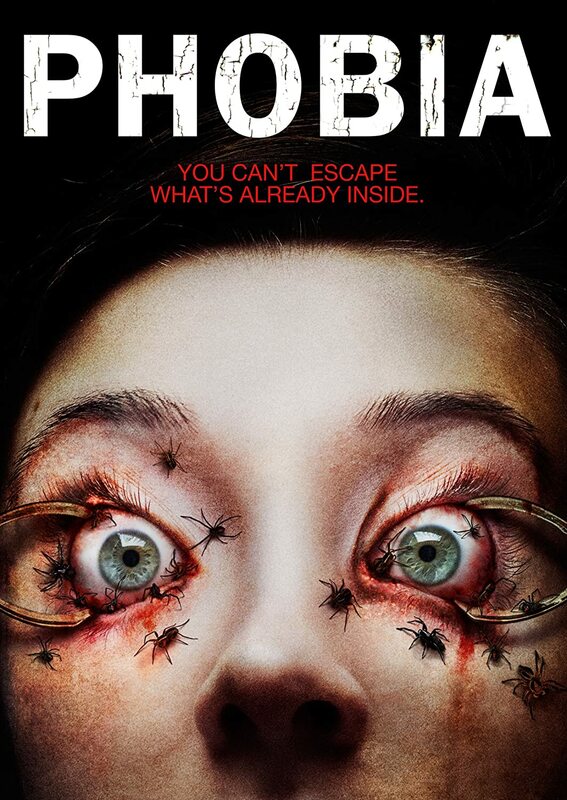 The first trailer for the psychological body horror featuring Nicholas Wilder, Sarah Schoofs, and the incomparable Tristan Risk (American Mary) just arrived and we’re pleased to share it with you now. Ayla also includes performances by indie horror heavyweight Bill Oberst Jr. and bona fide icon Dee Wallace. She’s riveting as Alex who is the relatable figure of this suspenseful, strange film as her paramour Alex tries to resurrect his late four-year old sister and who or what returns in a familiar form of a young woman is terrifying. Sarah is notable for tapping into the evocative, dark recesses of the horror genre having been eye-catching in the bloody, body horror of “Gut” as well as the film “Phobia” where she returns from the grave as a spectre. Judging by the trailer, the decision to bring his sister back to life is going to cause Elton (who is played by Nicholas Wilder) a lot of torment. The teaser doesn’t give away much beyond that, but it establishes a very troubling atmosphere and offers glimpses of some interesting images. Wilder, Risk (who plays Ayla herself), and Oberst Jr. are joined in the cast by Dee Wallace, Miles Joris-Peyrafitte, Andrew Sensenig, Jennifer Lynn Warren, D’Angelo Midili, and Sarah Schoofs.